With each passing day, history is made somewhere by someone so it’s often interesting to look back on what your beloved football team has done on this day in history in years gone by. Read on to find out what happened when the Swans played on October 14th in previous years. 8 years ago on 14th October 2007 – A crowd of 5,843 – including over 1,500 Jacks – witnessed the Swans go top of the table, as the Swans hammered bottom of the table AFC Bournemouth 4-1 at the Fitness First Stadium in Coca Cola League One. Ferrie Bodde scored his first goal for the Swans, with Dennis Lawrence and a Warren Feeney (2) scoring the rest as the Swans recorded their 4th away win of the season. 9 years ago on 14th October 2006 – Kenny Jackett’s Swans won 3-2 at Chesterfield in Coca Cola League One thanks to goals from Leon Britton and a Lee Trundle brace. Leon Knight the club’s top scorer was dropped by Jackett and only made the substitutes bench. 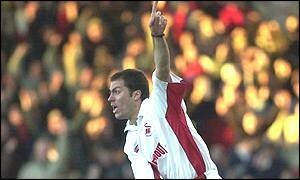 15 years ago on 14th October 2000 – Two second half goals from Giovanni Savarese on his Swans debut, earned the Swans a 2-1 win over promotion hopefuls Stoke City at the Vetch Field in Nationwide League Division Two. 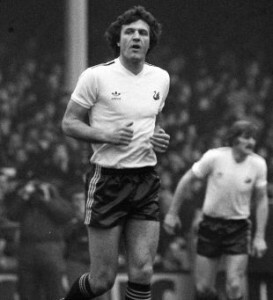 A crowd of 6,498 saw John Hollins also give a Swans debut to French midfielder David Romo. 20 years ago on 14th October 1995 – A second half equaliser from midfielder Kwame ‘Pat’ Ampadu earned the Swans a share of the spoils in a 1-1 draw at Peterborough United in Endsleigh Insurance League Divsion Two. 26 years ago on 14th October 1989 – The Swans under the guidance of manager Ian Evans, ran out 3-1 winners against Bristol City at Ashton Gate, thanks to Paul Raynor’s 1st minute strike and a 2nd half brace from John Salako. A crowd of 8,794 watched the 18th placed Swans take all the points in this Barclays League Division Three game. 37 years ago on 14th October 1978 – John Toshack’s first goal of the season gave the Swans the points in a 1 nil home win over Exeter City in the Football League Third Division in front of a Vetch Field crowd of 10,957. 43 years ago on 14th October 1972 – Geoff Thomas scored a late consolation goal for the Swans as they lost 3-1 to Plymouth Argyle at Home Park in the Football League Third Division.